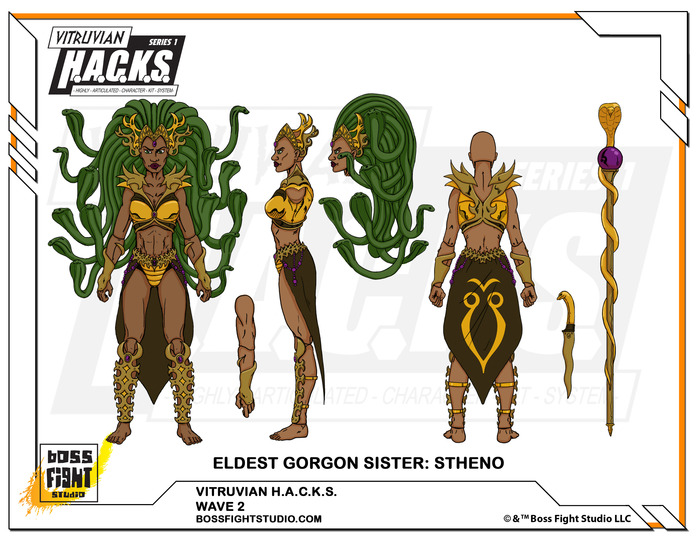 She's Fantastic: Kickstarter: VITRUVIAN H.A.C.K.S.! So last week I funded my second Kickstarter campaign. This one is different than my first one (I Am Elemental) because it can potentially be much more expensive, but more likely has the potential to be an unprecedented value - thanks to the numerous stretch goals. 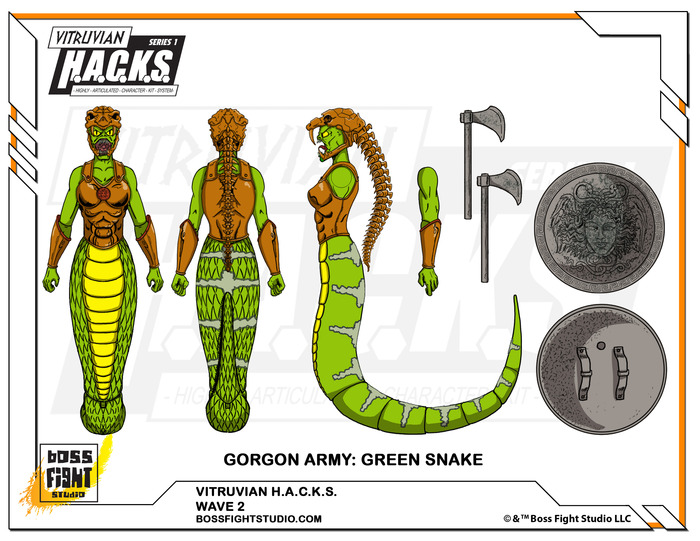 If all the stretch goals get met, there will be 39 unique figures (including 16 differently-hued blank bucks - and 23 unique sculpts). Plus four additional weapons packs to spruce up those bucks. 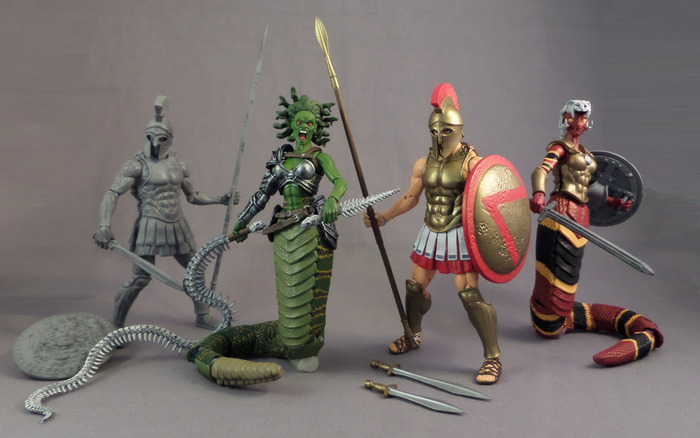 The first series is an ancient Greece theme with a variety of Spartans up again Medusa and an army of Gorgons. The female-centric antagonists are obviously the focus of this post. 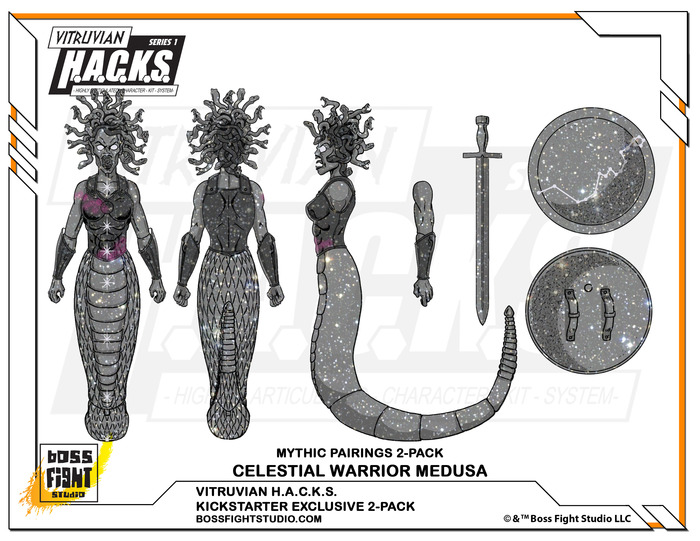 There are 11 female figures sculpted and 8 colored female bucks (again, only available if all the stretch goals are met). 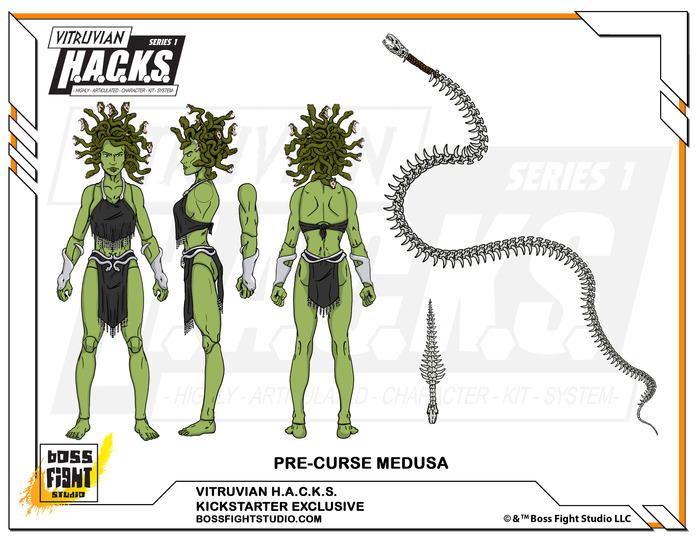 The Vitruvian H.A.C.K.S. 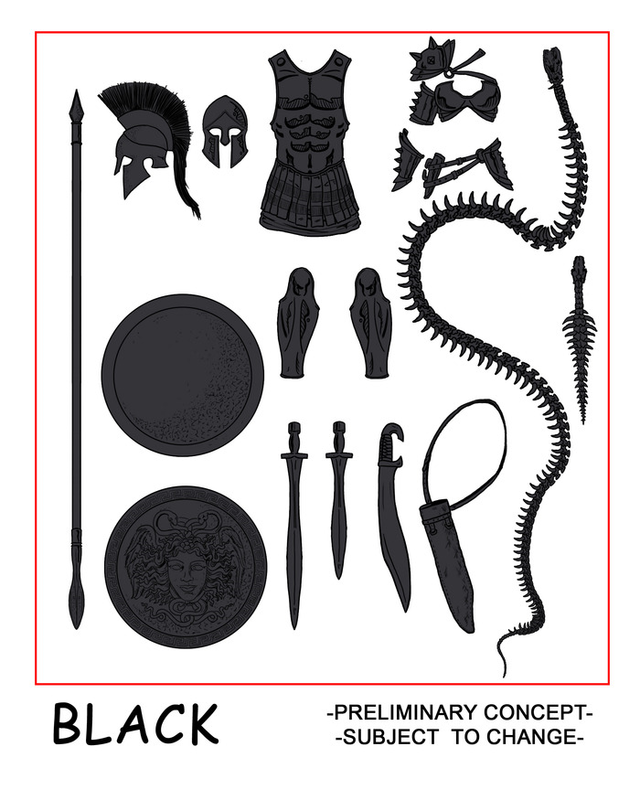 (Highly Articulated Character Kit System) is a line of 4" scale action figures with easily separated body parts for endless customization potential. 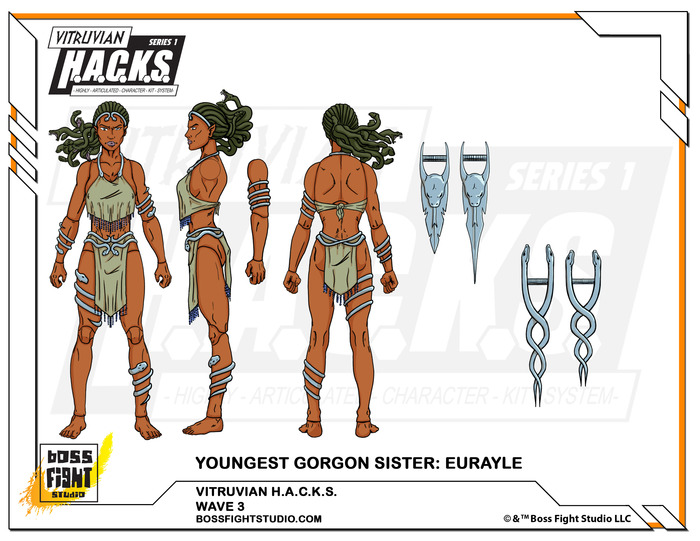 As of today, there are 15 figures unlocked, with 20 days of funding remaining. Here's hoping that everything gets unlocked! Let's check them out below. I'll start off by showing the buck system that Boss Fight Studios has created. It's highly articulated but also easy to disassemble (and reassemble in different configurations). Very similar to the Glyos system. 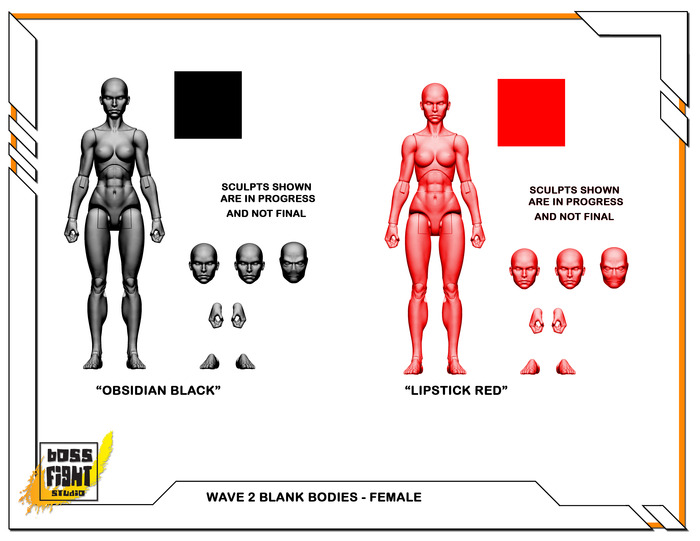 Here are design specs for all the female figures proposed so far. Only six of these are currently unlocked for production, but hopefully the ceiling goal will be met and we will get them all. 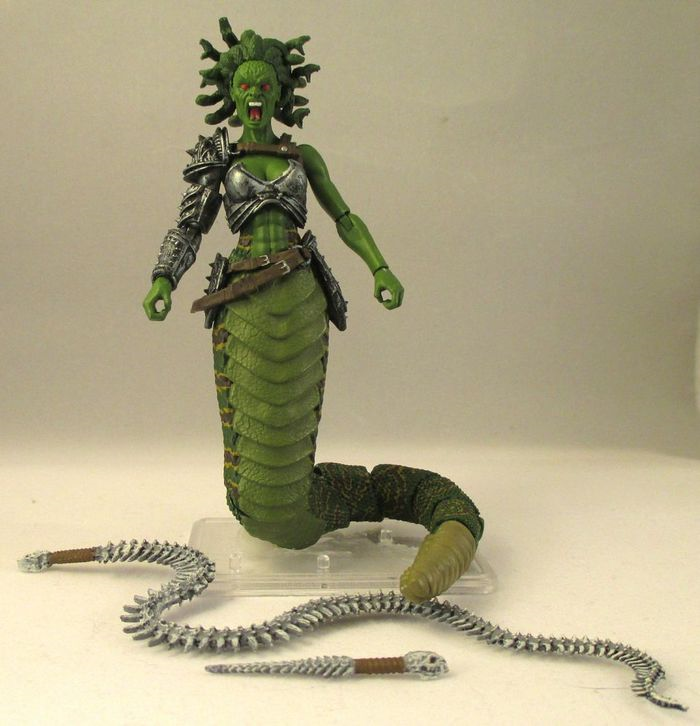 Here are some pictures showing the paint masters for Medusa and the Coral Snake Gorgon. Here's a little graphic I made showing a lineup of all the potential ladies. 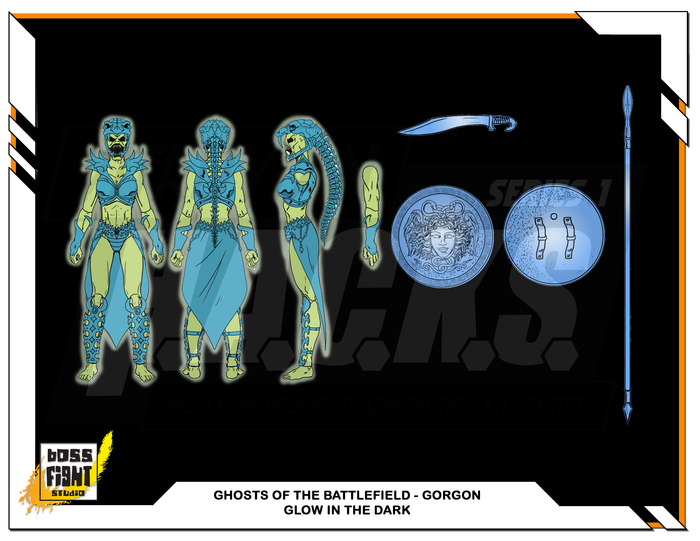 I'm actually most excited about the Glow-in-the-Dark legged Gorgon character. 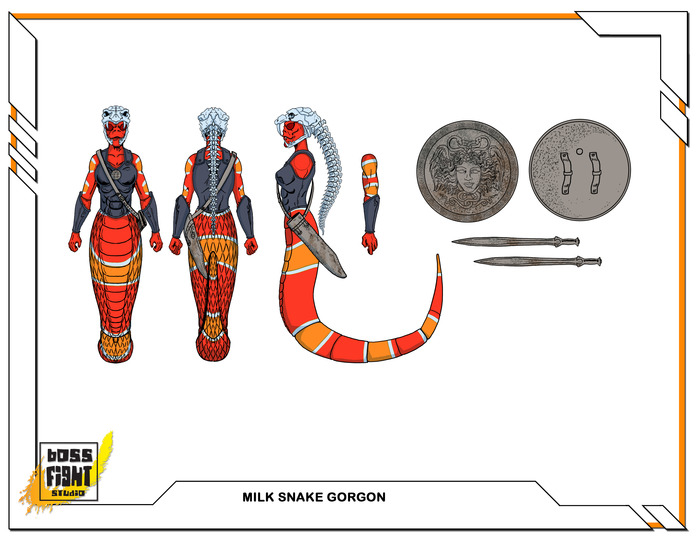 Of course, she'll only be made if the funded amount reaches $255,000 - we're more than half way there! Although I'm focusing on the ladies, there are plenty of very cool male characters in the lineup as well. 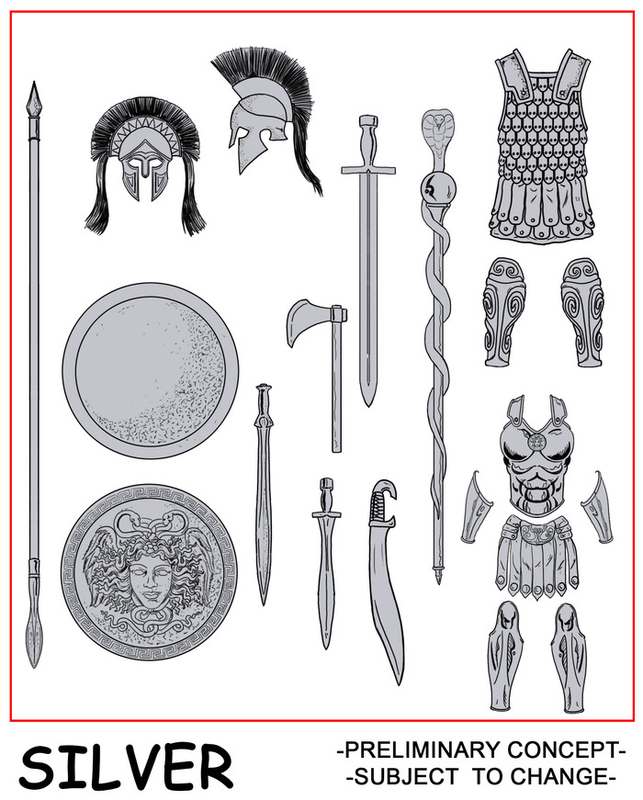 My favorites are the Stone Spartan and the Underworld Warrior (I'm hoping he's cast in Transparent orange (like the blank buck being offered) with painted gray on top of that for a cool "lava cracks" effect. The blank bucks are pretty cool. 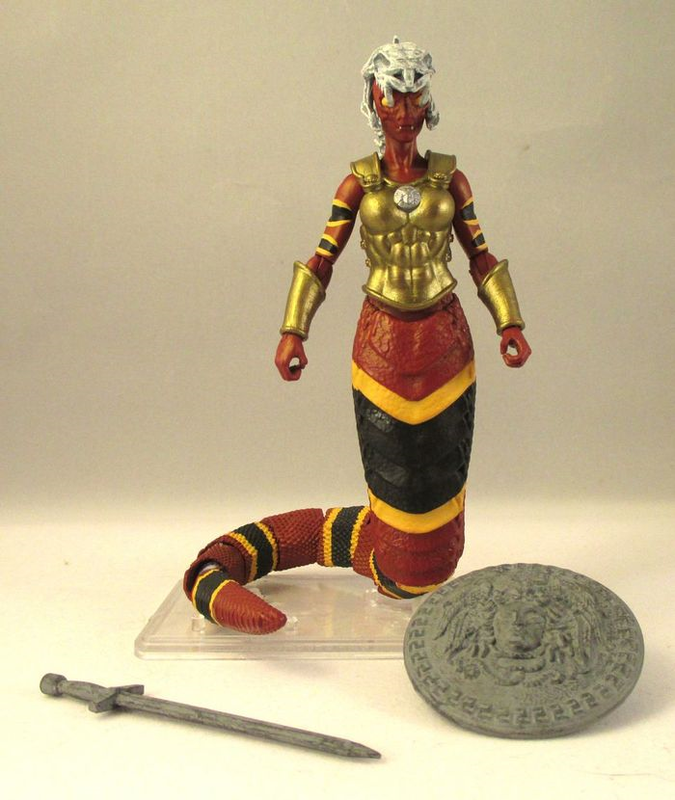 They come in a variety of colors and they have multiple head and hand variants. 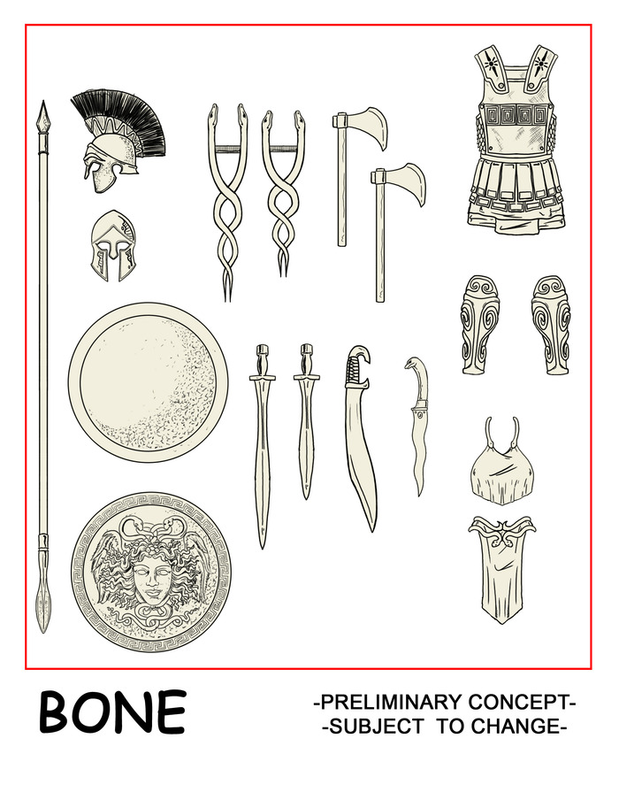 The male blanks include two transparent figures. Hopefully some of the females will as well. 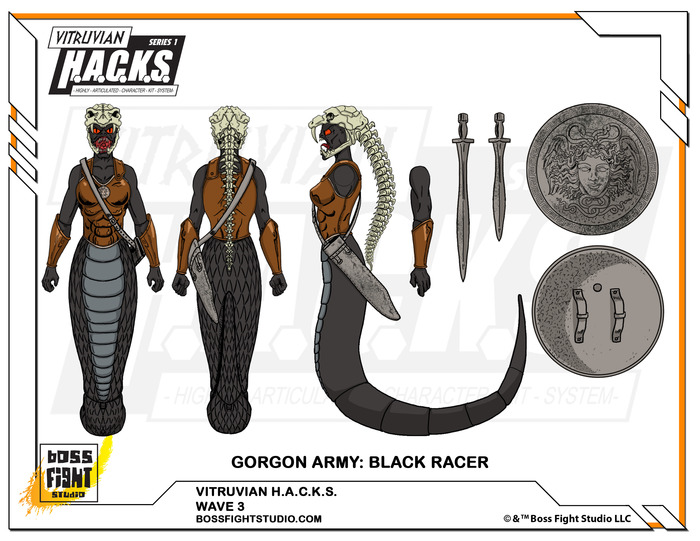 Also, I kind of hope they tweak the colors so that the buck bodies match the skin tones of the different Gorgons. 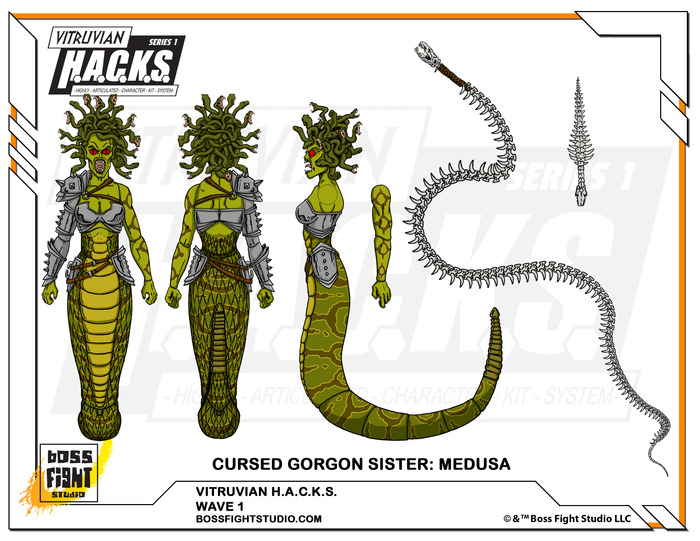 It would be awesome to switch out the hissing Gorgon heads for more relaxed expressions. 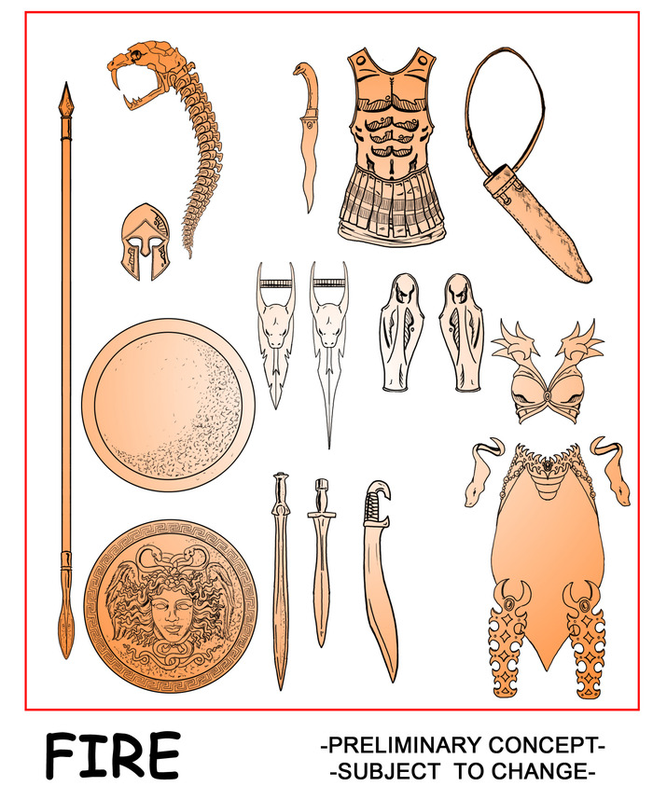 I'm normally not a big fan of weapons packs, but all these extra accessories will look pretty cool with all those blank bucks to dress up. Here's a final look at all the potential ladies. It's a tough opportunity to miss out on. I can't wait to see what future themes might be. I secretly hope there might be a fantasy wave with fairies and mermaids. 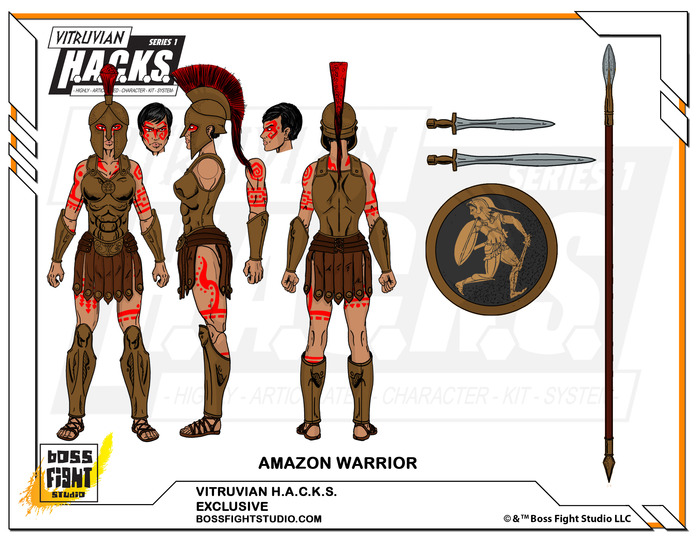 Follow this link to the Vitruvian H.A.C.K.S. Kickstarter page! I'd definitely be interested in purchasing some of the male characters if you went with the All-In package. Ideally, I'd buy one of each of the warriors, but none of the Pledge levels offer the combination I want to make it worthwhile and spending $120+ just to get the opportunity is too extreme for me. I'll definitely be putting a bunch of the male characters up on ebay when they arrive. I think I'll be keeping The Stone, Bronze, Underworld, and Glowing. The rest will probably be up as buy-it-nows. When I review all the ladies in-hand, I'll make sure to mention the auctions and maybe put a link up. In an ideal world I'd keep them all, but I'll need to recoup some money since this was a major splurge for me. 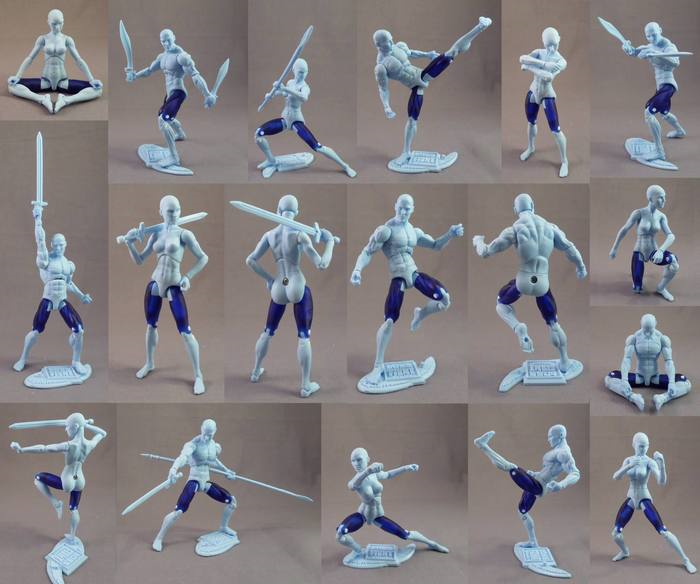 How do I buy these action figures?